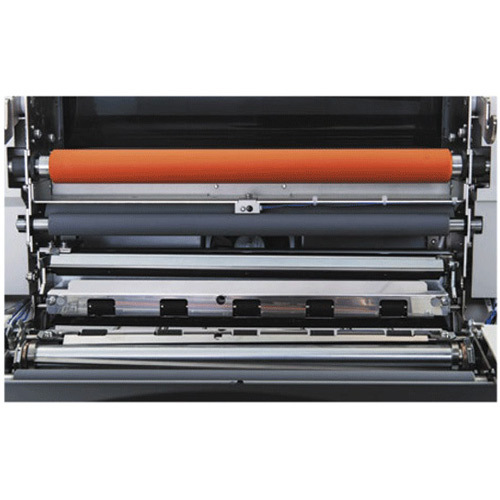 With a one-button push start, laminate quickly without the need of operator assistance per sheet. 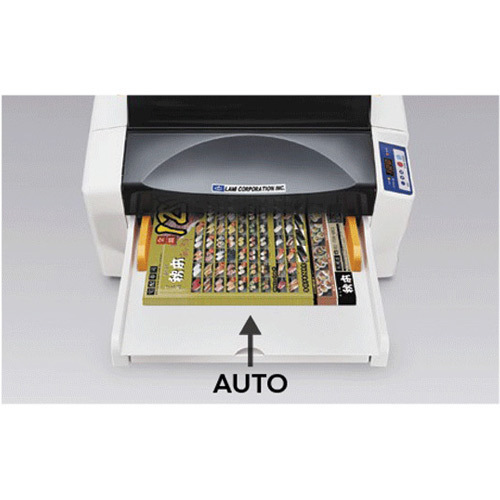 Compact size to fit on a desktop, simple operation and six times faster than pouch lamination make this laminator the perfect choice for the office, school environment or print shop. The Revo-Office is the first film cassette laminating system that combines automatic feeding, laminating and cutting in one process. 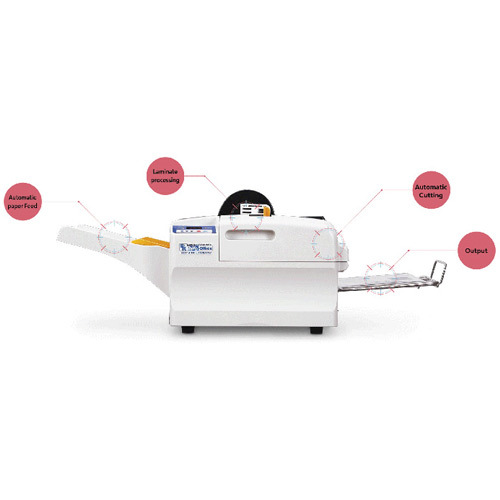 Set the number of sheets, margins and push the start button – no need to oversee, the machine will stop when sheets are laminated and cut. 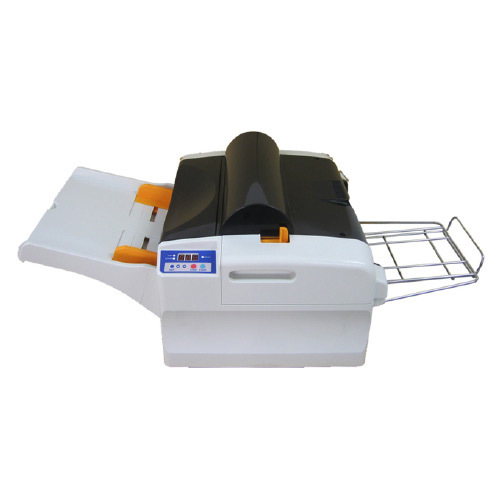 Top opens easily to lift out film cassette and to clean. 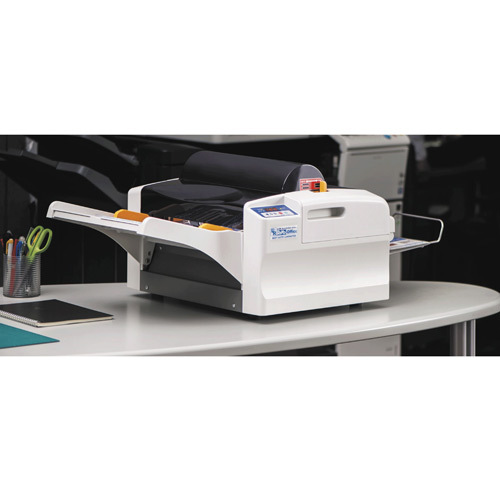 With its compact design, the Revo Office is quiet to run and allows you to laminate on demand unattended. The industry’s first film cassette is easy to change. Now anyone can change the film roll easily and quickly. 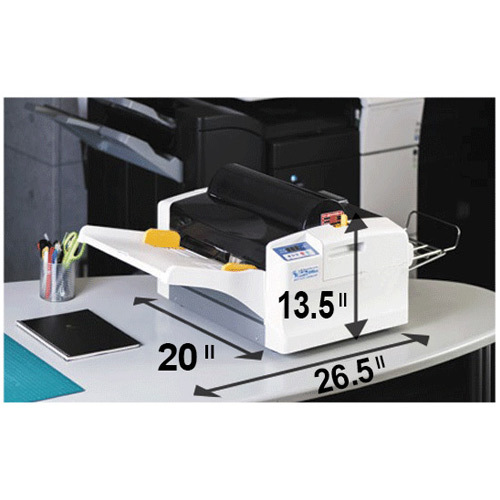 The Revo-Office runs and stops automatically and unattended. Simply set the number of sheets and push start. 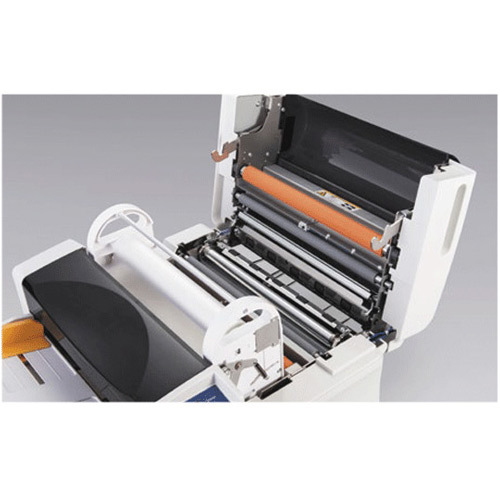 Clean rollers and machine parts easily with access from top. Set various front and rear margin sizes to be cut automatically. Internal cutter is designed for improved safety. 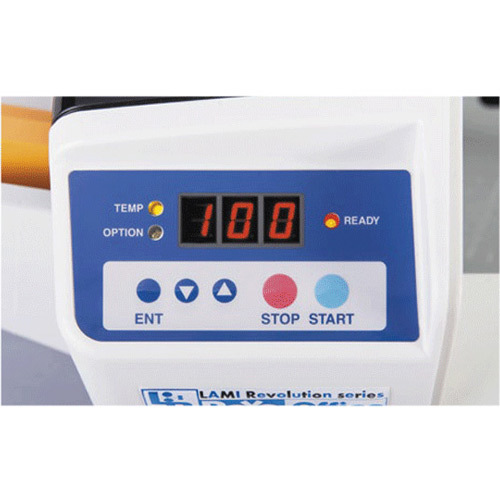 Hand-fed pouch lamination is slow and needs a dedicated operator to feed each sheet. 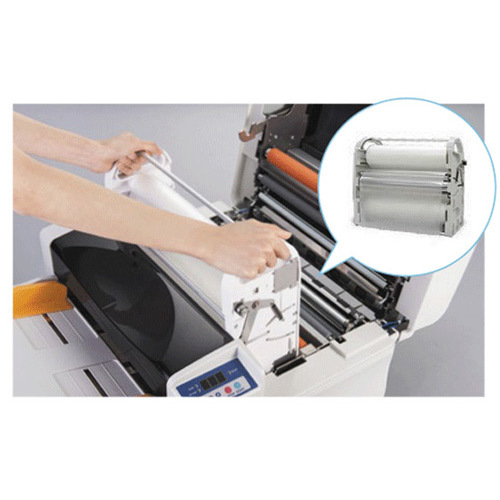 Pouch lamination averages 40 sheets per hour vs. the Revo-Office average of 240 sheets per hour unattended.